Natural latex molded pillow supports a healthy sleep habit. It’s designed to improve rest quality, from its cutout that cradles the head in comfort to its naturally antiviral, non-toxic materials. 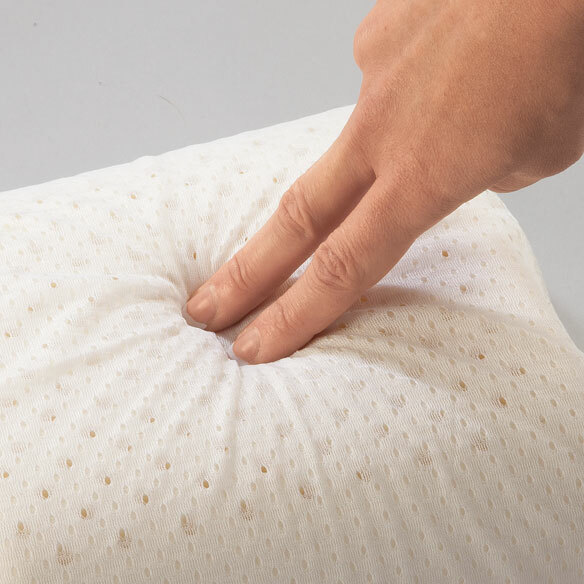 Made with natural latex materials to kill up to 90% of viruses, this comfortable, this contour pillow may help you stay healthy and wake up refreshed. 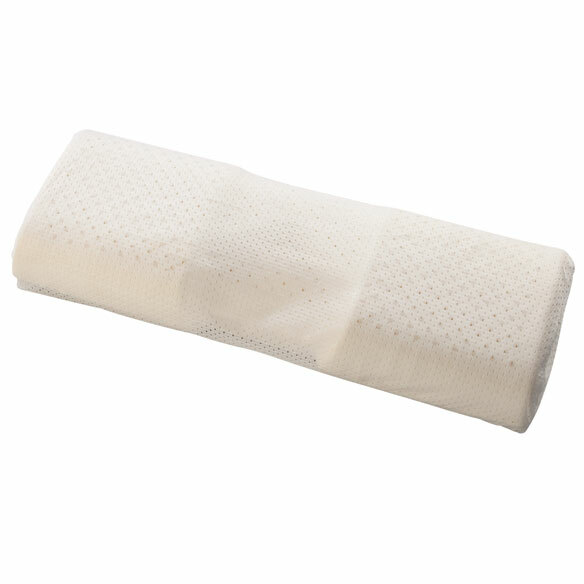 Latex foam pillow offers medium support for maximum comfort. Molded design gently aligns the head and neck. Lightweight foam allows air flow for cool breathability. Made with natural latex for antiviral protection. Latex pillow made with 65% natural latex/15% synthetic latex/20% foam. Machine wash cover; air dry. Firm, but soft using as knee support at night. I am hopeful this item will give me the support I need to get a good nights sleep. It doesn’t get in the way of my cpap headgear. BEST ANSWER: Thank you for your question. It is 22” L X 8.5” W X 4” d. We hope this information will be of help to you.